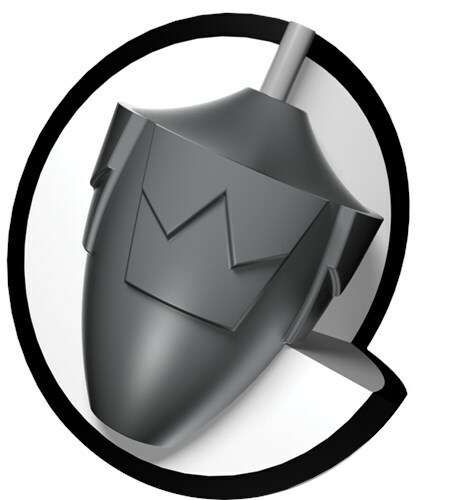 The Brunswick Edge series of bowling balls features a low RG symmetric weight block. The Edge Blue Pearl combines this core with their Relative Pearl coverstock. This pairing creates a ball reaction with exceptional length, angular backend motion, and strong hitting power when used on medium oiled lanes. 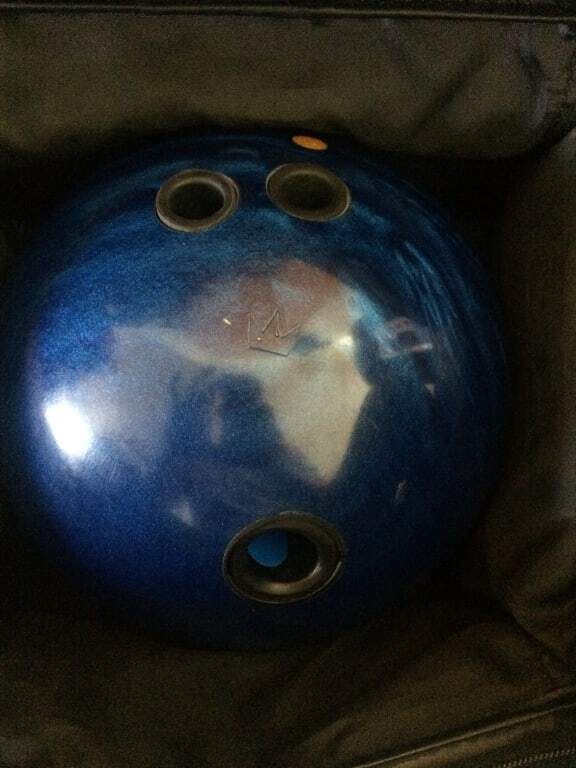 Similar Balls: Same Hook Potential, Lane Conditions & Coverstock as the Brunswick Edge Blue Pearl. Melee Jab fans rejoice! The Edge Pearl brings back everything that was loved about the Jab and more. Very easy length through the fronts and mids, and a controllable, angular motion off the spot. This pearl will allow you to open up the lane and kick the corners out when the Edge Solid is a bit too early. I had a lot of success on both patterns with this ball, on the house shot allowing me to throw it to the dry and get it back, but also on the high volume sport pattern I tested as well allowing me to keep my angles in front of me when my Edge Solid was too early to do so and keep a high strike percentage. The Edge Pearl will definitely be a staple on house patterns and on breakdown on sport patterns. I also compared the Edge Pearl with my Fanatic Pearl, and found that the Edge Pearl is about 3-2 less and less angular, allowing me to switch to it when the Fanatic was too sideways off the end of the pattern. Very readable and controllable, yet still a strong pearl at a great price point! I drilled the Pearl and Solid the exact same, and the pearl gave me more length and later breakpoint that was a quick response to Friction however, it was very controllable. It is a great ball to go to after the solid is hooking a little to early and you don't want to make a move. You know that the pearl will give you the length and recovery that you are looking for. On this shot I had room to the right as well as room to the left if I tugged it. I was very pleased how the balls went through the pin deck and were very controllable. These ball allowed me to play up the board on the right side for a long period of time with room for error if I got a little slow or fast with my speed. For the pattern being flat I was extremely pleased with the motion I got that was easy to control and make adjustments. I was able to chase pattern in and play 20 to 15 and ball gave me great reaction that if I missed it left me makable spares. Please do your self and go pre order yours at your local Proshop or go to In The Pocket Proshop in Gainsville Fl and come see me. That is one of my favorites and is a great compliment to my Edge Solid! When the Solid is more than I need , I can go right to my Edge Pearl. It is very clean through the fronts, with a strong predictable back end motion. This is a must have ball! 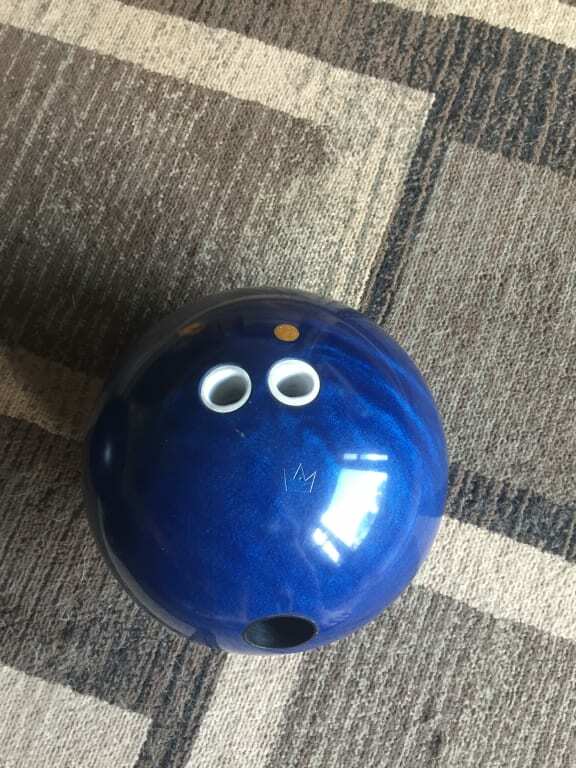 I drilled this ball exactly like I drilled my Edge Solid (pin up) so I could have that easy ball down choice when the lanes being to be to dry for the Solid. I throw 17 mph, rev rate 375-400 and I have good forward roll. This Edge pearl has the Melee Jab core with very similar coverstocks! So if you had the Jab and loved that ball this one won't disappoint! I use this ball on lighter oil or once the lanes begin to break down. It gets down the lane with ease. It comes off the spot longer down lane but doesn't kick sideways, it has a hard but smooth finish down lane which I love! For this price point don't pass this up! If you have the Edge Solid, you need its sibling! I loved the Melee Jab and so this ball is like a Melee Jab on steroids! It's pearlized cover gets down the lane easily. Once it exits the pattern, it is strong and continuous. I have seen the Edge Pearl go a few feet longer that the Edge Solid and hook about three more boards on the backend for me. 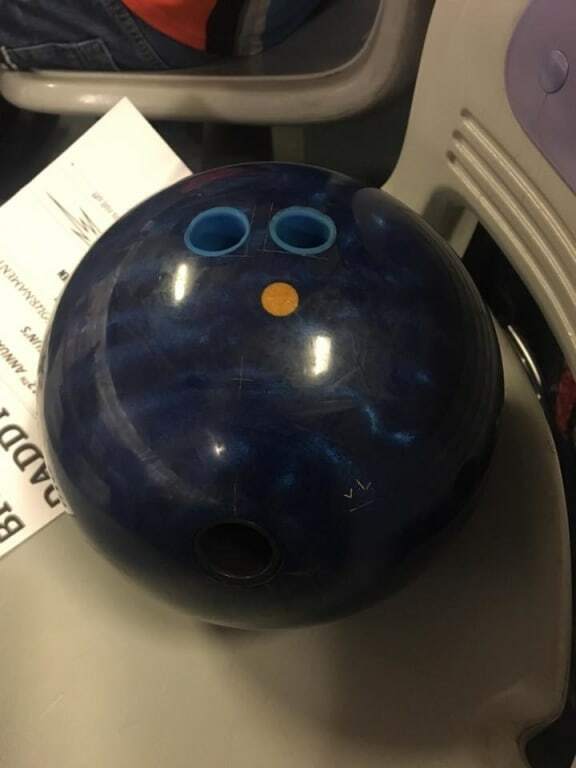 I recently bowled a tournament where the heads started to go and I was able to switch the Edge Pearl and it was EXACTLY the ball I needed. In fact, I hadn't even had chance to throw it in practice but felt confident that this ball would be the right piece to go to. This ball is a great companion to the Edge Solid. When the Edge Solid gets to be too much, I can switch to the Edge Pearl and stand in the same place and manage the pocket easily. Get an Edge on the competition!! The Edge Pearl combines our Relativity Pearl coverstock with our proven Edge low RG symmetrical core for a reaction very similar to our highly popular Melee Jab. The Edge Pearl provides great length, angular backend motion, and exceptional hitting power on medium to light oil lane conditions. 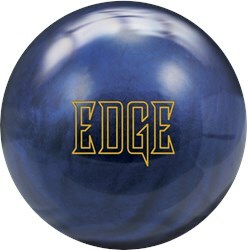 This ball is a great compliment to the Edge Solid. It's very clean through the heads and ideal for short oil conditions. This ball was clutch for me during Nationals as the conditions began to transition from doubles to singles. It will allow you to play straighter angles when finding friction in the front part of the lanes. It's very controllable around the breakpoints and is very sharp and continuous through the pins. The motion is very similar to the Meleee Jab but the overall hook is a bit less. For the price point of this ball you absolutely can not go wrong. The Edge Pearl is a smooth and predictable ball with good length. It is a good compliment to the Edge Solid and earlier midlane reacting balls like the Fanatic SS. I find it to be best used when there is friction up front and I need a softer move on the backend. For me it is about 5 and 2 right of the new Edge Solid on a house shot and about 4 feet later. The Edge Pearl is a great ball for playing more direct angles up the lane. If your looking for a ball to play straighter angles l and to stay near the friction on house conditions or to control the breakpoint on tougher shots, the Edge Pearl is a great choice. This edge Pearl performs very similar to the Jab but i would say it is a little cleaner through the fronts for me but could be pattern specific. Other than that it is a spitting image of the Jab. Great Piece for many conditions. Wow. Yes you must have this ball. Melee Jab fans there's a new ball in town. This ball I would say is 1-2 boards more then the jab smoother and a pinch earlier in the midlanes with great backend. This is very controllable and predictable off the press I went and bowled a tournament and game 3 with the ball shot 300. Very easy to get lined in with this ball and know consistently this ball will react the same shot after shot. The Edge Solid and Edge pearl are a great combo to have in the bag. The Edge Blue Pearl combines our Relativity Pearl coverstock with our proven Edge low RG symmetrical core for a reaction very similar to our highly popular Melee Jab. The Edge Blue Pearl provides outstanding length, angular backend motion, and excellent hitting power on medium oil lane conditions. I drilled the edge pearl with a shorter pin to my PAP. I shortened the pin to my PAP because I have trouble with pearl covers giving me a big over under. I love the reaction I get with this ball. If you like the Melee Jab you will love this ball. The edge pearl is a perfect compliment to the Solid version. When the solid starts to hook early and not turn the corner, the pearl would be the go to ball. Its extremely clean through the front part of the lane with a strong backend. If you liked the Melee Jab, you would love this ball! It has the same core with the new Relativity pearl coverstock. Hello. The Edge Pearl will have a symmetrical core. Yes, you can change the finish to best fit your needs. This ball is better for more experienced bowlers. Due to the time it takes to produce the Brunswick Edge Blue Pearl ball it will ship in immediately. We cannot ship this ball outside the United States.